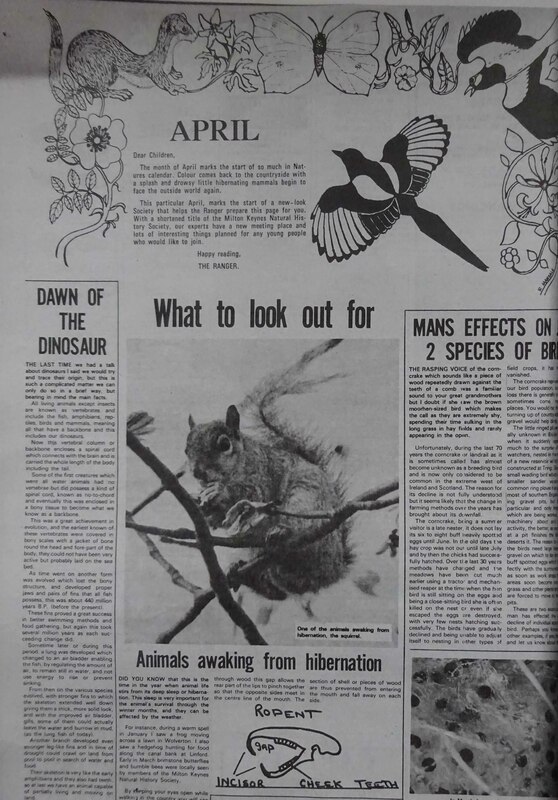 On 8 February 1968 an article in a local newspaper mentioned that there was an interest in the formation of a natural history group. As a result, three people met in March to discuss the matter and at the next meeting (on 29 March), a further person and about 20 children were in attendance. Roy Maycock, the Society’s President was one of the members of this initial group and is still an active member of the society. Membership is currently about 90 and up to 40 of these are to be found at most meetings. Early meetings were held at West Bletchley Community Centre with moves to Rectory Cottages then Bradwell Abbey and then for some 20 years, at the Hanson Environmental Study Centre, Great Linford. In January 2005 a return to our former ‘home’ at Bradwell Abbey was made. These moves within the Milton Keynes area have ensured that the core membership is of local, Milton Keynes, people but we also have some members from further afield. The interests and expertise of the membership is very diverse and there is usually someone who will know something about any group of plants or animals or if not, knows who to contact to find out. It is this wide range of knowledge and interests that enables the Society to flourish with a friendly atmosphere and many long term members. When our membership increased we were asked to do a page of local natural history interest for the Stony Stratford and Wolverton Standard newspaper. To make it more attractive a border of plants and animals was drawn by a member Bob Mandale. In those days there was no colour printing so a magpie was incorporated into the border as it is primarily black and white, and thereafter it featured in all our work. When a regular society newsletter was introduced then The Magpie became an obvious title – not just for its’ colour but also it habit of ‘picking up bits’. it has been the society’s logo ever since.